On grid. 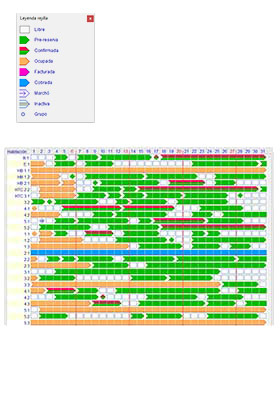 Different colors for different situations of a reservation:: Vacant, Pre-Booking, Confirmed, Occupied, Invoiced, Charged, Inactive. Multi-tariff, price periods or seasons in rooms. Late check out - Early check in. Control of "non grata" clients (defaulters). Assigning multiple clients to one reservation. Automatic Control of booking services. 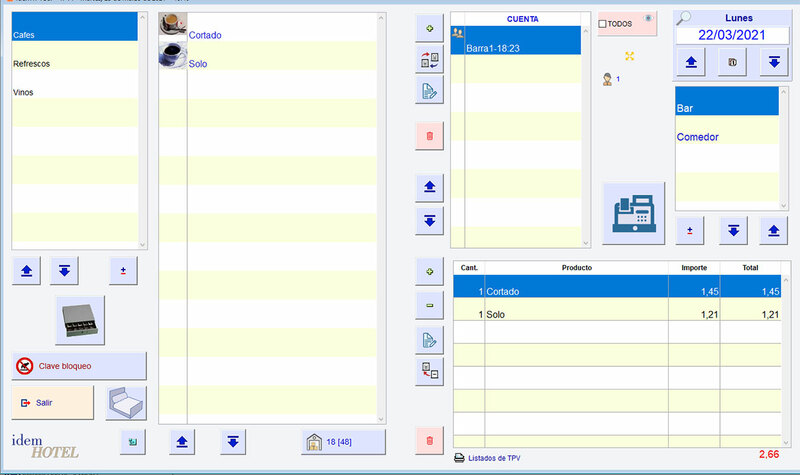 Room changes from the grid (Drag & Drop) or the reservation itself. Historical online customers.Control customer "non grata" (Slowpayer). Modify bookings with drag and drop. D.G. Policía, Guardia Civil y Mossos: Sent automatically without the user access to their website. 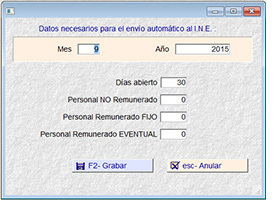 You can even select how many minutes wants for automatically verify and send the reports. 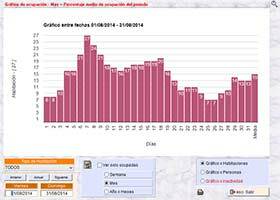 Printing of the official traveler´s report in the selected language. 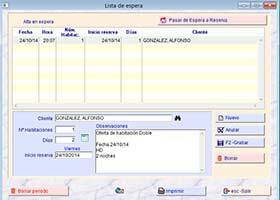 Printing of the traveler´s registration sheet: according to the new spanish law, this sheet must be signed by the travelers. Should I print the traveler report ? . Link from the waiting list to bookings. Send email for budgets ... from here. 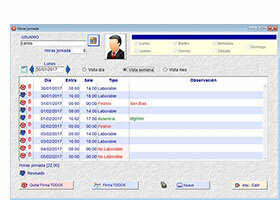 Create a booking in case of confirmation, just with a clic. You won't spend hours working on the I.N.E. statistics. IdemHOTEL will help this laborious work. 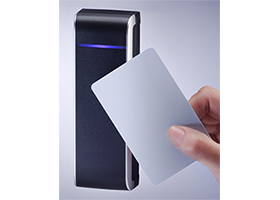 System access control, which allows you to define who can access each process. 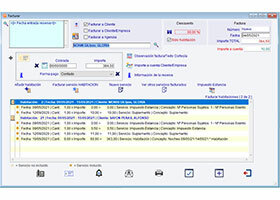 Individual or grouped room invoice. Printing and/or E_Mail of Invoices and receipts for invoices. Chief of services, daily listing of rooms, people, children, cots, linen change,..
NEW Revenue forecast between selected dates. You must request a separate contract in IdemHOTEL. All the modules related here are acquired separately. Consult with our commercial department for prices. NEW - New module I.N.E. sending statistics in XML file. You won't spend hours working on the I.N.E. statistics. IdemHOTEL will do for you. This module let you get traveler information, from any authorized identity document. Also photo, signature & copy of document (Identity document, Passport, driving licence, residence licence, ...). You can do it with your scanner or we can supply a fi-65F scanner Fujistsu, which is optimized for this work (3 sec. for scan+OCR per side). Monitor the rooms assigned to Agencies. Signing system from IdemHOTEL without other hardware. Integrates these POS systems in IdemHOTEL automatically. When you select the room charge from one of these programs, IdemHOTEL save it as TPV pendant charging service in booking's room indicated in the POS program. Allows you to make mass mailings through emails, in a simple and personalized way. Send SMS on a specific date and time. Send SMS messages the moment. Integrated agenda/alarms. Each user has his own agenda and can comunicate between them..
Module: WEB - Bookings "on line"
With IdemHOTEL experience, we have developed a site (Adaptable - Responsive) specific for the hotel including reservations "on line". 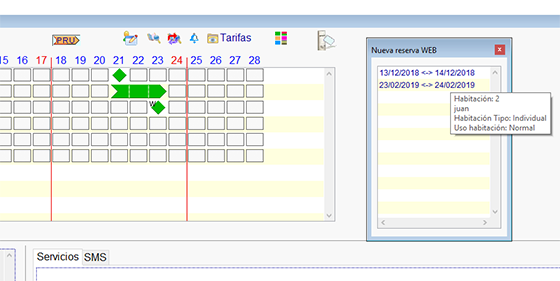 - NEW In the grid is shown with a `W` the WEB reservations. And in a separate window, a list with all the reservations entered from the WEB and that we have not reviewed. - NEW Automatic introduction in IdemHOTEL, of the reservations made through "Online Booking" on the WEB. 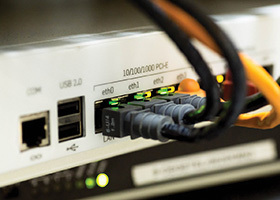 - Automatic link of availability from IdemHOTEL to your web page. Do not spend more time maintaining the availability on your website. IdemHOTEL will do it automatically for you. Download IdemHOTEL for FREE and try it with all the features for a while. If you want to try the OCR Module and / or WEB, once downloaded, contact our commercial department.